Every girl needs a pair of these cute socks! 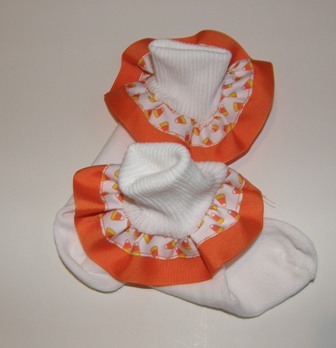 !� These socks�have�Halloween candy corn�print and�orange ribbon trim on them. They are�available in 2 sizes.